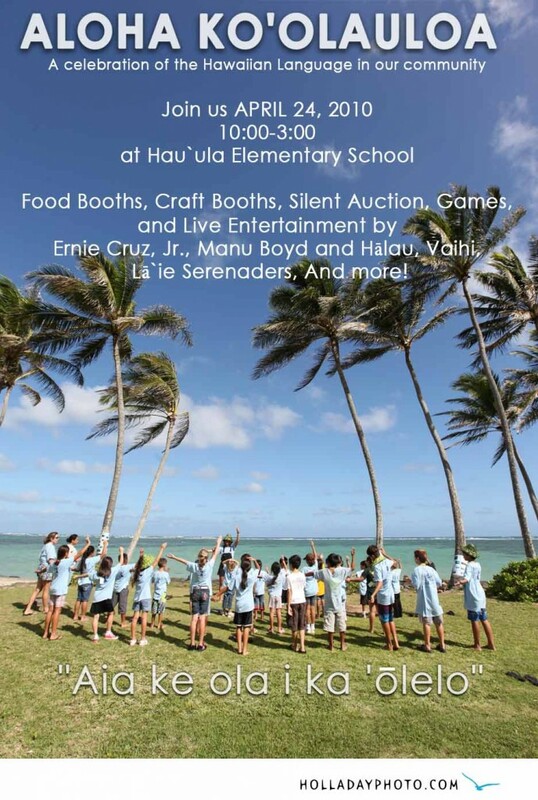 THIS SATURDAY COME OUT AND SUPPORT OUR LOCAL HAWAIIAN LANGUAGE IMMERSION PROGRAM! THIS IS A FUN EVENT FOR ALL FAMILIES- FOOD AND ENTERTAINMENT. TICKETS CAN BE PURCHASED AT THE EVENT FOR $8 , AND THE PLATE LUNCH IS GOING TO BE ALL HAWAIIAN FOOD AND HUGE. PRAY FOR GOOD WEATHER, A LOT OF WORK HAS GONE INTO THIS EVENT, COME AND SHOW YOUR SUPPORT! SPECIAL HOLLADAY PHOTO OFFER FOR THOSE WHO ATTEND- IF YOU COME, FIND ME AT THE EVENT, (I WON’T BE IN A BOOTH, JUST FLOATING AROUND) AND I WILL SNAP A PHOTO OF YOUR FAMILY AND EMAIL IT TO YOU! 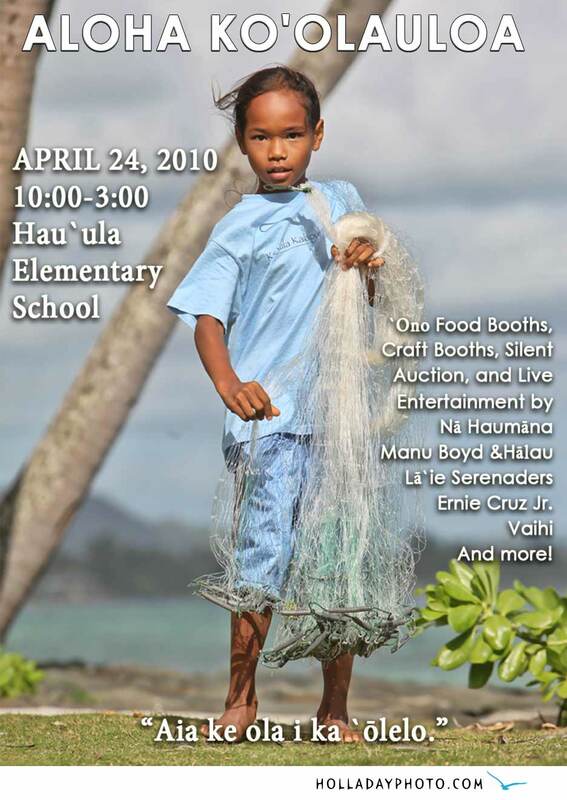 YOU CAN ALSO BID ON A IN AND OUT OF THE WATER FAMILY PHOTO SHOOT WORTH $500, AMONG OTHER THINGS, AT THE SILENT AUCTION. We’ll be there to support..
We’ll be there to support!! !